I am lucky enough to have another guest blogger for today, Tanya Lotzof of Chicago Speech Spot. I am always in search of good referral sources for my clients, so I was thrilled to be able to connect with Tanya. She is energetic, driven and has a wonderful personality, all things I know helps connect with kids. One of the things I loved about her services is how she embraces and effectively utilizes technology to help kids with speech and language development. After all, technology is not going to go away, so we better figure out how to use it best. Now Tanya is sharing her tips with us. The number of iPhone and iPad apps related to speech and language continues to grow every day! If you are interested in using an iPad to facilitate your child’s speech and language development, you must start by finding the right apps. This can be both exciting and overwhelming. You might be asking, “Where do I find educational apps?” or “How do I make sure the app is educational before I buy it?” Here are some suggestions when searching for apps. 1. Think about what you want your child to get out of the app: You must have a goal in mind before you begin your search. There are so many different skills you can target with iPad apps. You can work on following directions, vocabulary (receptive and expressive), social skills, emotions, rhyming, story telling and sequencing, just to name a few. Narrowing your search from the beginning will not only help reduce your search time, but it will enable you to find specific apps that target specific skills. 3. Look up the app on YouTube: I find this extremely useful! Many iPad developers will show a brief video of the app in use. This will give you a good sense of what it looks like and how to use it. 4. Try downloading a lite version: Many iPad apps are available for download as a lite version. Lite versions are typically free and you get a good feeling of the app without paying for the full version. 5. Email Chicago Speech Spot: We use iPad apps all the time in our treatment sessions. If you are looking for a specific app, contact us and we can provide you with some recommendations. For example, if you are looking for phonological awareness apps for your first grader, we would be more than happy to look through our apps or do some research for you. We also review iPad apps in our blog, so be sure to look there for some suggestions. Princess Fairy Tale Maker ($1.99) All ages Create your own fairy tale with princesses, fairies, mermaids, ballerinas, unicorns, animals and more! Color with animated sparkles and glitter! Create multi-scene fairytales. Draw and Tell HD ($1.99) All ages If your child opts to create his/her own drawing, he/she starts off by selecting the paper they want to use. There are all sorts of colors and patterns to choose from. Once they get to the main drawing page, they can either draw using colored pencils, crayons, paints, and patterned markers or put fun stickers on the page. There are TONS to choose from. Dora ABCs Vol 2: Rhyming Words ($2.99) Preschool Dora and Boots want to go over the Troll Bridge, but the Grumpy Old Troll challenges them. There are 4 different levels: rhymes, first sounds, last sounds and inside sounds and you can select a different level at any time. This app helps preschoolers to learn rhyming and letter sounds, which is important pre-reading skills. First Then Visual Schedule HD ($9.99) All ages Create audio-visual schedules for just about anything! You can use stock photos, take your own photos, voice record, use video or text to label steps and you can even choose the layout that best suits your child. NOTE: Based on my experience, I’ve learned that children are inherently motivated by devices like the iPad. While I absolutely love using my iPad, I always make sure that I use it in combination with traditional therapy techniques. I recommend using the iPad in moderation at home as well. It is import to set boundaries ahead of time so your child knows the expectations. Tanya Lotzof is a licensed speech-language pathologist who is devoted to making a difference in children’s lives. 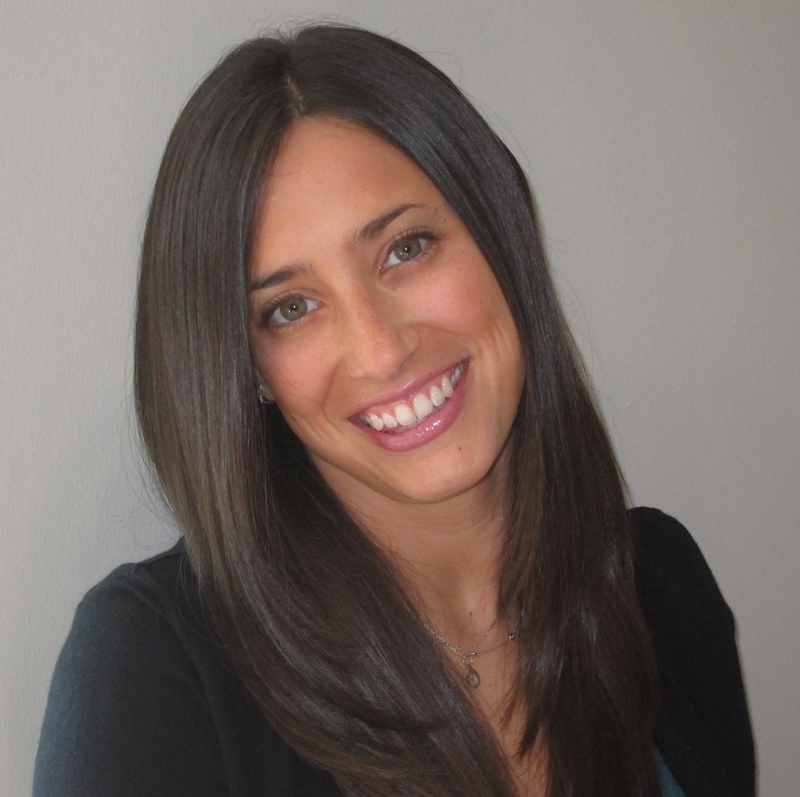 She is the co-founder of Chicago Speech Spot, a pediatric private speech and language therapy practice. Tanya has worked in various settings including a preschool, a hospital, and a private practice. Tanya received a Bachelor’s degree in Psychology from the University of Michigan and a Master’s degree in Speech and Language Pathology from Northwestern University.